➔ Amazon is having an AMAZING Kindle Unlimited promotion (for a limited time only)!! 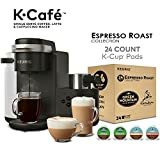 ➔ Amazon has started their “Cyber Monday” deals! <— 😀 I’ll be looking for goodies to point out and add to this post in a bit. 1.) One of MY Black Friday deals that I got in on is a King size mattress topper (all cushiony and billowy). YAY ME!! I’m gonna have an extra fluffy princess bed!! 3.) Since I was out all day for Thanksgiving, I didn’t make my usual turkey… but I did it yesterday. 🙂 So Sunday was my own personal Thanksgiving (and this time, it IS Keto). Turkey and all the veggies (except noooooo potatoes), roasted Brussels sprouts, green bean casserole, and my favorite chicken gravy from Quebec. YUMMY!! Every time my sister or my mom comes to visit, they bring me a bunch!! ➔ ALL the “Cyber Monday” deals here! 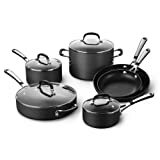 Simply Calphalon Nonstick 10 Piece Cookware Set (SA10H) <— “Cyber Monday” deal!!! This Calphalon set is on super-sale!! Almost 4000 reviews and it’s 4.5 stars!!!!! WOW! Girl, Wash Your Face: Stop Believing the Lies About Who You Are so You Can Become Who You Were Meant to Be by Rachel Hollis <– ON CYBER MONDAY SALE!!! THIS book is ALL THE RAGE right now and constantly on the best sellers lists!!! The Great Alone: A Novel by Kristin Hannah <— KRISTIN HANNAH’S LATEST IS ON SUPER-SALE!! And it sounds AWESOME!!!! Family moves and becomes isolated in Alaska… and all that goes with those family dynamics. Eeeeep! Lucy: The Great Alone by Kristen Hannah. I loved the Nightingale so I jumped on this one, I was not disappointed. A family homesteading in Alaska, the family relationships, young love and tragedy. It will stay with me for a long time. Instant Pot Smart WiFi 6 Quart Electric Pressure Cooker, Silver <— A WIFI INSTANT POT??!!! Whaaaaaaa?? What does it do more than mine does (and I LOVE MINE!!!)? I’m going to research this, but in the meantime… Cyber Monday deal of the day! Kathy found us THESE book deals! Kathy: Ravensong (Green Creek Book 2) by T.J. Klune (the book after Wolfsong) is on sale …I am embarrassed to say that is still one that I have not read but will move it up now. The Butterfly Project by Emma Scott is on sale … I read it on KU but this one is one I want to keep. So good. iRobot Roomba 675 Robot Vacuum with Wi-Fi Connectivity, Works with Alexa, Good for Pet Hair, Carpets, Hard Floors <— AWESOME ROOMBA ALERT!! This is the most popular one, can be controlled by the app on your phone and I have the most basic one and I LOVE IT like crazy. Imagine this one?? Surrendering My Affection: Sulfur Springs Book 4 by Taylor Rylan <— M/M ROMANCE!! Good morning!! 🙂 I’ve already done a few cyber Monday deals. Haven’t had time to read with all the holiday stuff and snow removal. Going to try to get back to Look the Part audio today. Ooh, and I have to do Bev’s questions. So far, I’ve bought The Great Alone, Murder on the Orient Express, and Need to Know by Karen Cleveland. 1. I became obsessed with Gin gin ginger apple chews this weekend. 3. This is the COTTAGE . I know I’ve posted it before….but love. Ok, I’m done. I can’t buy anymore!! I also got Every Single Secret by Emily Carpenter, The Weight of Lies by Emily Carpenter and Now That You Mention It by Kristin Higgins. I am so excited that Roxy’s Warriors (Book for in the Bondmate Series) by Ann Mayburn comes out tomorrow. I have been waiting for this book for 2 years!! It is a Science Fiction series and not my normal reading but it is so good!! Ravensong by T.J. Klune (the book after Wolfsong) is on sale for .99. I am embarrassed to say that is still one that I have not read but will move it up now. The Butterfly Project by Emma Chase is on sale for. 99. I read it on KU but this one is one I want to keep. So good. Whoops my bad, Emma Scott and not Emma Chase on The Butterfly Project. First day back to school for my kids and my brain is fried already! Maryse I have a book recommendation for you and everyone else. I just finished P. Dangelico’s Bulldozer, book 3 in her Hard To Love series. I also have read the first 2 books Wrecking Ball and Sledgehammer. These books are so good and funny. They hit all of the feels. I have decided that this author is a cross between Marina Zapata, Lani Lynn Vale and N A Alcorn. Broody H meets quirky h, they have altercations with lots of funny humor and angsty moments and eventually fall in love against all odds. perfect! You have to read these books! I’m. Not. Buying. Today. O.o. No, I’m serious, someone stop me, I cannot. It’s bad. Anyhow, I miss you all. Nano has been taking up all of my free time and I haven’t read anything it seems. Plus, I’m still kind of broken from Heartbreak Warfare…it’s taking me a long time for anything else to measure up. That reminds me. I need to open the challenge threads. I’ll do that today! 2. I’m craving peppermint hot chocolate. Ok, after all that I’ve found my next read. End of Day (Jack and Jill series) by Jewel E. Ann. Seems delightfully naughty so far! Tasha – I ADORED the Jack and Jill Series. It turned to be far more complex than you might start out believing. Just really amazing writing. So I’ reading “Blind Reader Wanted” – it somehow came across my Kindle as a recommendation and the blurb sounded interesting. He’s a recluse and she’s blind, and he wants someone to read to him – you know, to “soothe the beast” – but someone who can’t see all his scars. Sounds pretty good, right? Well…. it;s okay. The writing is just not living up to my expectations. UGH. I hate when there’s a perfectly good story and the writing gets in the way. I will muddle through and see if it gets better. ESPECIALLY when someone mentions something like the Jack and Jill series – with spot on writing, amazing characters, ups and downs, lefts and rights, steamy and funny at the same time. She can write about Jill checking her mailbox and makes it interesting. I’m officially a snob. Only decent authors from now on. Thank you Kathy. I’ve read the Emma Scott but for some reason haven’t got around to Ravensong yet. I’ve snapped it up now at that bargain price. 2. No work today yayyyy!!! Gotta do some shopping this morning (just groceries) but I might sit and have a good ol’ read this afternoon. I give up it did it again only posted 1st line above. Grey, I’m skipping Nano this year because *squee* Finally reading my first draft. Well, squee that I actually completed it and OMG, it makes no sense. lol Oh well. That’s why it’s called first draft. I bought my first official large bottle of peppermint mocha creamer today and got the Christmas tree up yesterday. I’m way ahead of the game compared to other years. I thought I was over my slump, but alas, it appears not. I just want to DNF most everything. And all of a sudden, I feel like there aren’t enough minutes in the day to read anything and get everything else done. I mean, there are never enough minutes in the day, but I ALWAYS find time for reading. Giana Darling’s new one, Good Gone Bad, that I’ve been waiting months for came out over the weekend and I can’t bring myself to start it. I HATE when my book mojo is off–when my reading isn’t right, I feel like my life isn’t right! That is so cool all of you that take on things like writing or playing an instrument or etc. When I was very young I used to write little stories, but now it doesn’t sound very enjoyable. It sounds like a lot of work. Love Melanie Harlow. That will be on deck to read next. Reading British Bedmate now (used to be Dear Bridget I Want You). Good so far but I’m a sucker for a British accent. Me too, JR! British or Aussie–either really does it for me! I did some Cyber monday shopping today. Even got family christmas PJ’s- Elf and matching PJ’s for the dog! LOL. Started GOOD GONE BAD and am liking! Was in the mood for a biker book. She is such a good writer. Comment section is set up differently Maryse. Lookin good. Is it, JulieO? Are you on a computer/laptop or phone? Maybe there was an update? On my phone. When started reading the comments they were laid out differently. Our names were centered above our comments without those little picture things next to them. Different font too. Then as soon as I submitted my comment it all changed back. Mystery to me. I was disappointed in BLIND READER WANTED also. You know how there are “B” movies? Well this was like a “B” book. I read it but promptly forgot about it till you mentioned it.